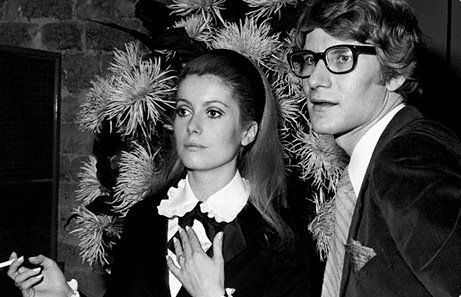 I know it's a late tribute, but I've been hunting down my favourite pictures of Yves Saint Laurent to post as a blog entry. 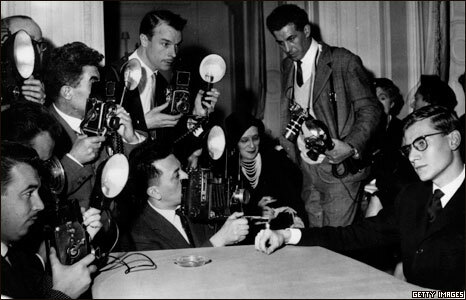 Not only am I picky, it's also très difficile to find shots of just YSL, rather than models wearing his clothes (or celebrities holding his bags!). Thanks to The Beautiful Fall by Alicia Drake, I've come to appreciate this designer's impact on the fashion industry to a greater extent. 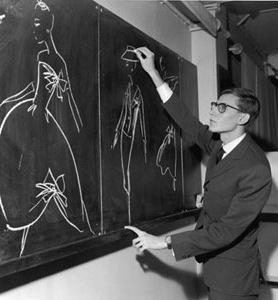 Rest in peace Yves Sait Laurent. 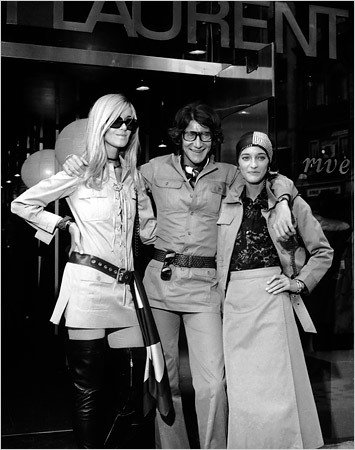 Betty Catroux (looking FANTASTIC), Yves and Loulou. For YSL's full biography click ici! For more information on The Beautiful Fall, click here. you found some really beautiful pictures! thanks for posting! What could be better than socks? Get out your credit cards! It's not a waste of time, seriously.